One of the very special things about staying in a Ryokan is the fact that you have a choice of whether or not you want to experience Japanese prepared meals. 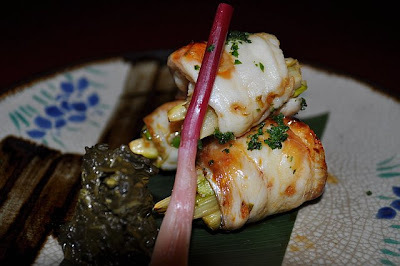 If you do decide to try it (which I highly recommend), your food is served to you in a traditional way, and you are given yukata to wear (Japanese robes which can be worn in your room and around the ryokan as well). 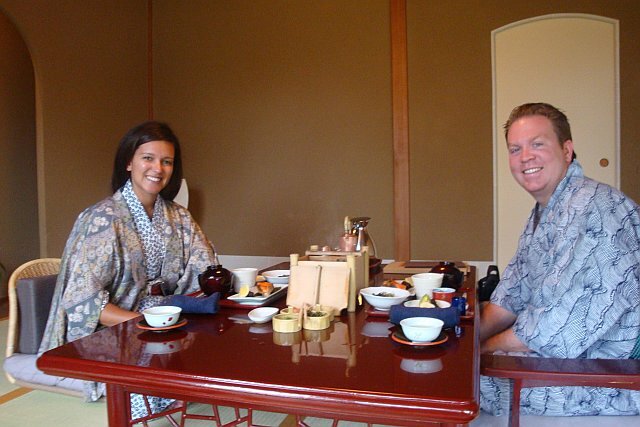 I only decided to do this for one of the three days at the Tawaraya Ryokan in Kyoto (for both breakfast and dinner)...and they truly were the most incredible experiences! 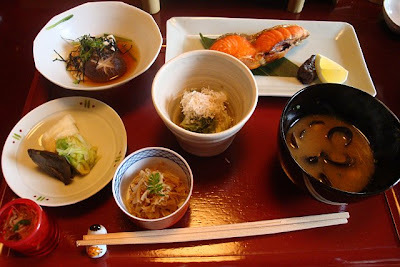 At around 8:30 in the morning, someone came into the room to put away the futons and to serve the traditional Japanese breakfast which consisted of grilled salmon served with rice rice and vegetables, miso soup with clams and tofu and green tea. 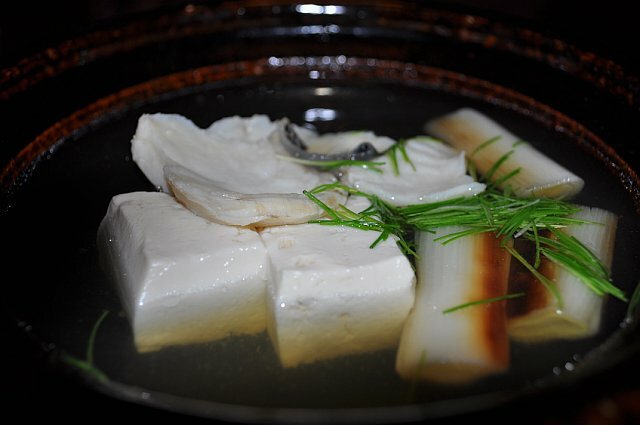 It was delicious and totally satisfying! After breakfast, it was time to head over to Sanjusangen-do Temple. 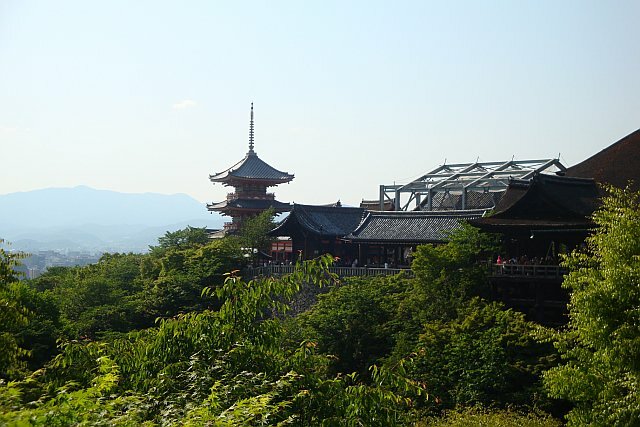 This place is one of Kyoto's most awe-inspiring spectacles. It's 400-foot-long hall holds 1,000 golden statues of the many-limbed Kannon. You are not able to take pictures inside of the Temple, so that's why I only have pictures of the outside. 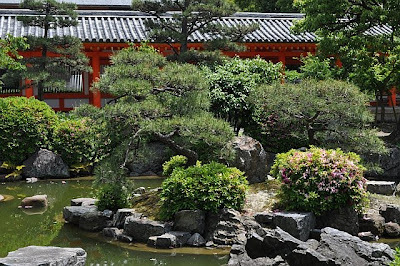 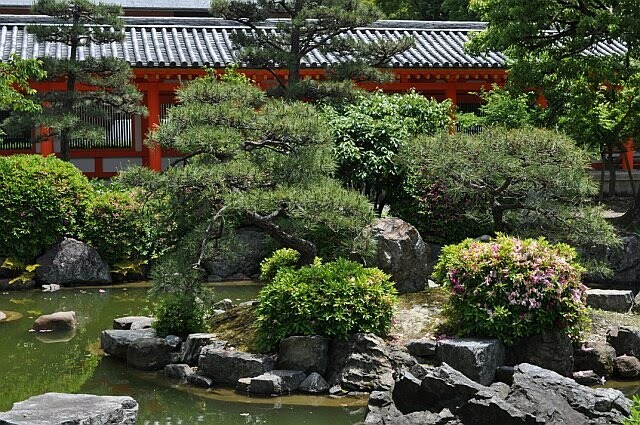 The grounds surrounding the Temple are quite pretty too. 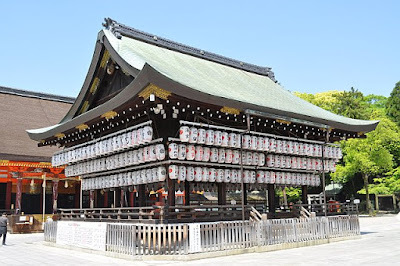 One of the special things to do at any Temple you visit in Japan is to buy a fortune that has one of the levels of luck (very lucky, somewhat lucky, or not lucky at all). 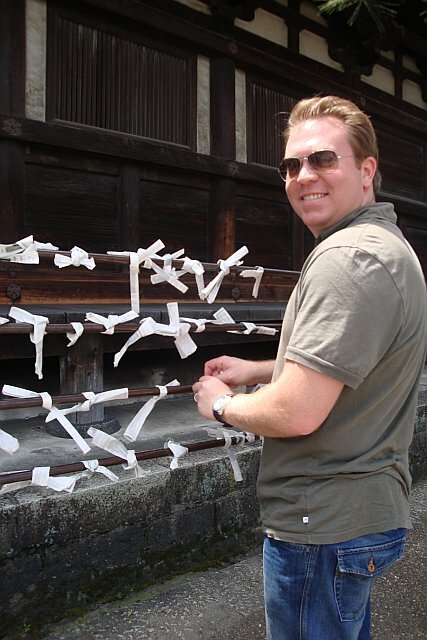 After you see what you get, you are supposed to tie it to something outside of the temple and make a wish. 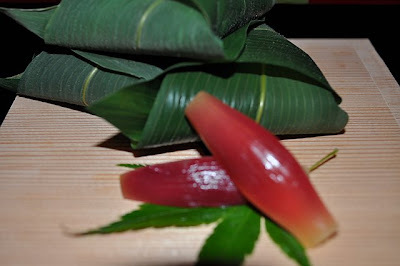 Both fortunes we got were somewhat lucky ones. 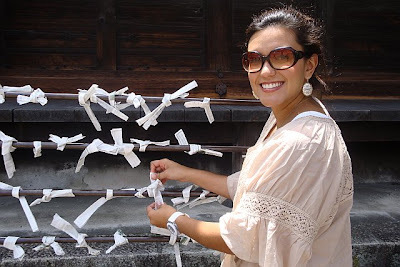 Hopefully the wishes come true! Afterwards, it was time to head over to Higashiyama Park to check out the Yasaka-inja Shrine... 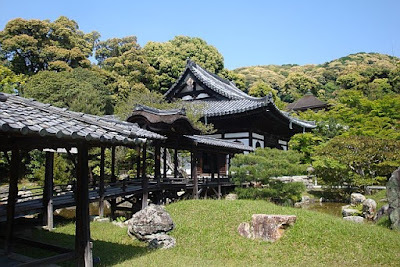 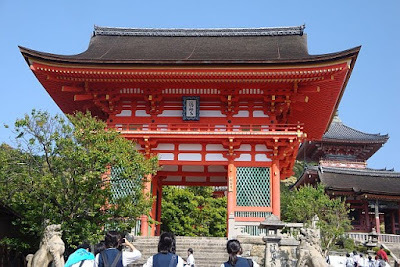 The Kodaiji Temple (Love Temple) made by a woman for her late husband... And the Kiyomizu-dera Temple. 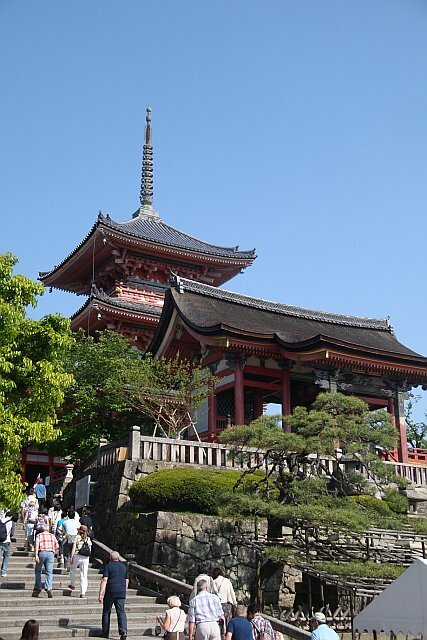 Pilgrims have climbed Higashiyama's cobblestone streets lined with tea shops and craft vendors to this gorgeous mountainside temple for centuries. 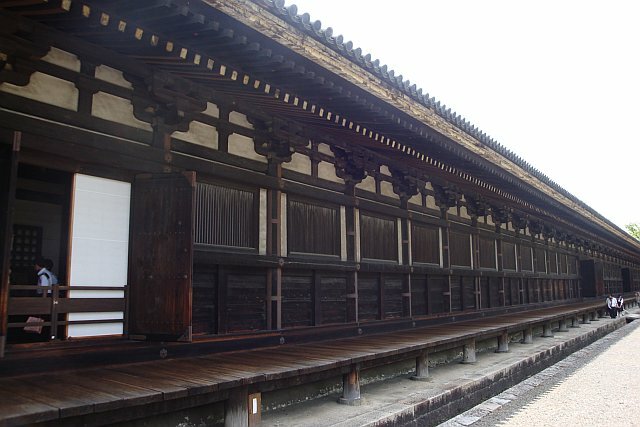 The main hall's huge veranda, jutting out over the valley, has become one of the city's quintessential images. 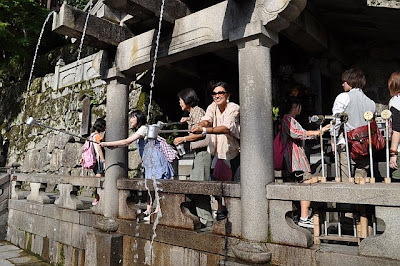 Farther down the path, the Sound of Feathers waterfall tumbles down in three perfect streams before a raised platform. 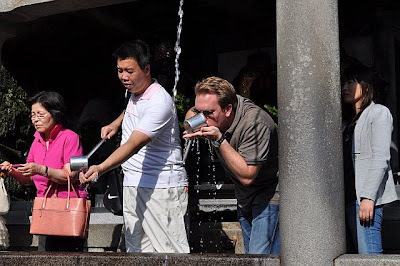 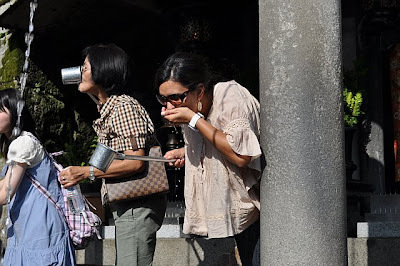 Visitors line up to catch some to drink using one of the long-handled silver cups; it supposedly helps with health, longevity, and academic success. 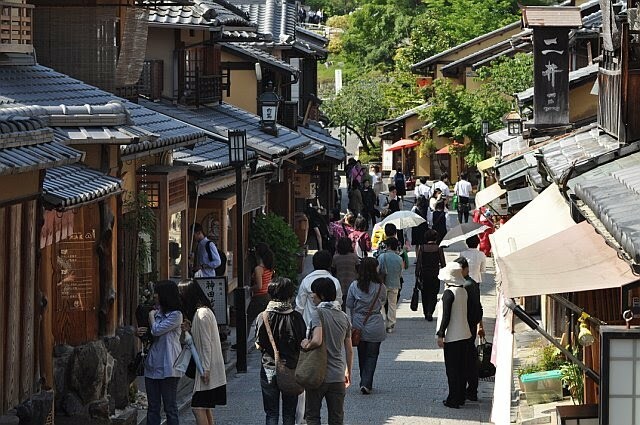 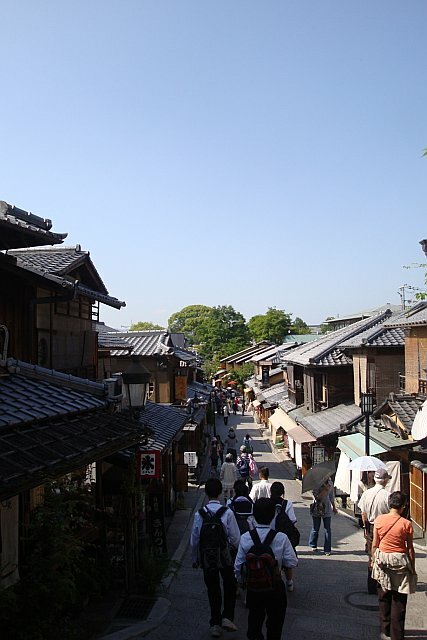 Afterwards, you must stroll along Sannen-zaka and Ninen-zaka's cobblestone paths. 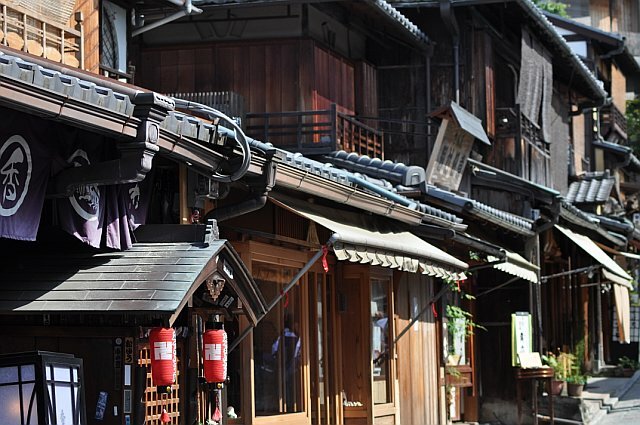 These two streets are the finest examples of Old Kyoto, and this area is one of four historic preservation districts in the city. 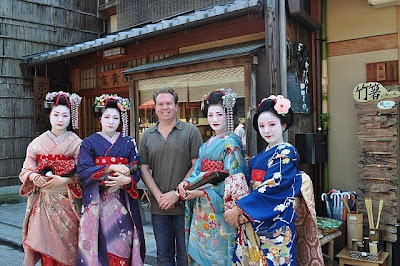 This is another area where you can see a lot of Geisha, or I should really say "Fake-sha" because real Geisha only come out at night. Nevertheless, it's fun to take pictures of them and with them! Dinner at the Ryokan was at 6pm that night, so on the way back, I passed through Ponto-cho Alley which is just west of the river in Kyoto. 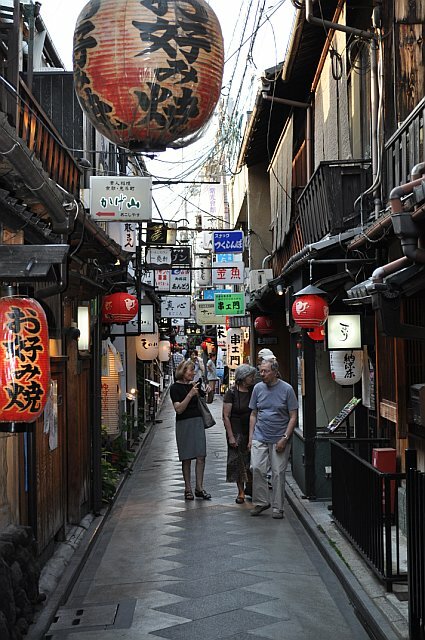 It's a tiny street filled with taverns, bars and restaurants. 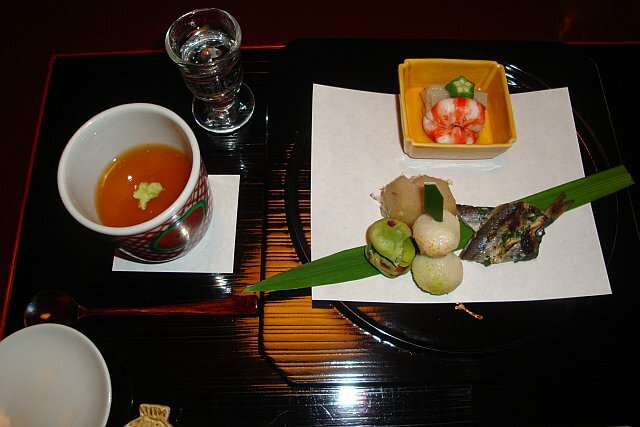 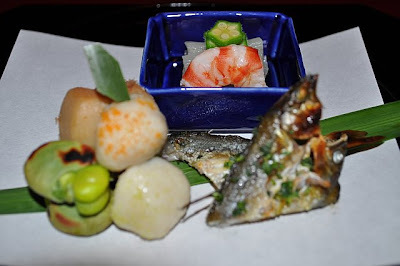 That night, an 8-course traditional Kaiseki dinner was served in the room. 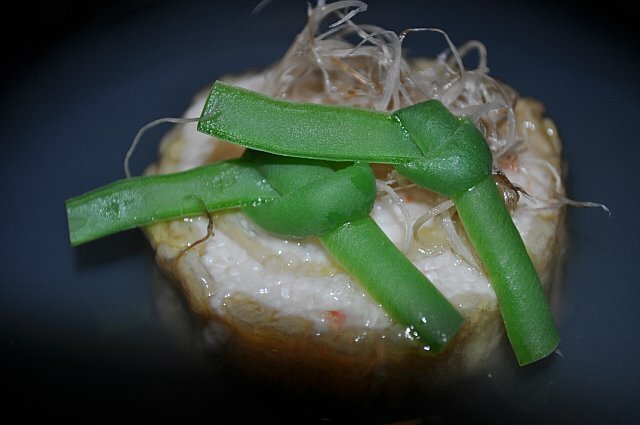 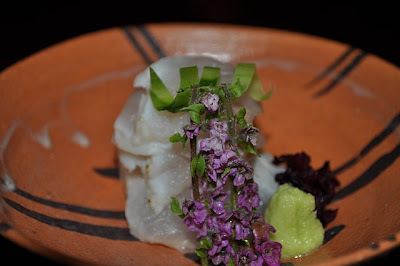 It included sushi, sashimi and cooked fish dishes served with cold sake, tea and dessert. Dinner lasted for about 2 hours. 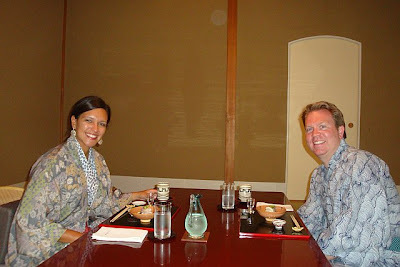 It was so relaxing that as soon as the meal was over, my head hit the pillow and I was out at 8:30p.m!!! 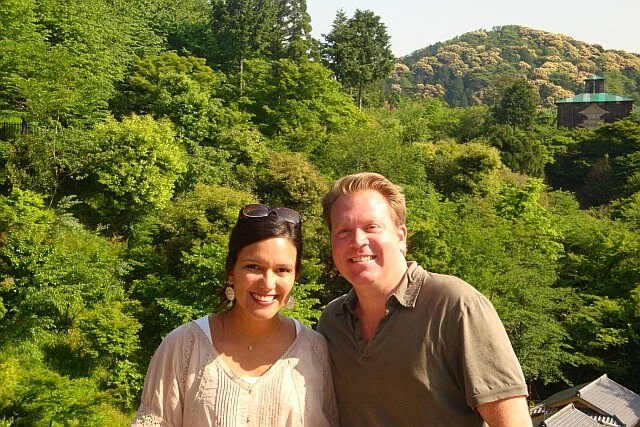 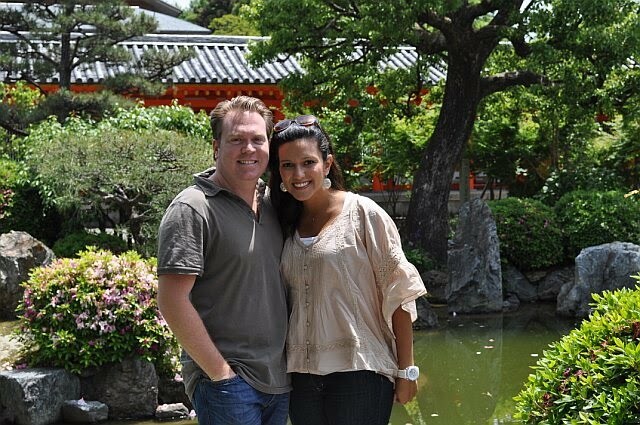 Stay tuned for more from Kyoto!